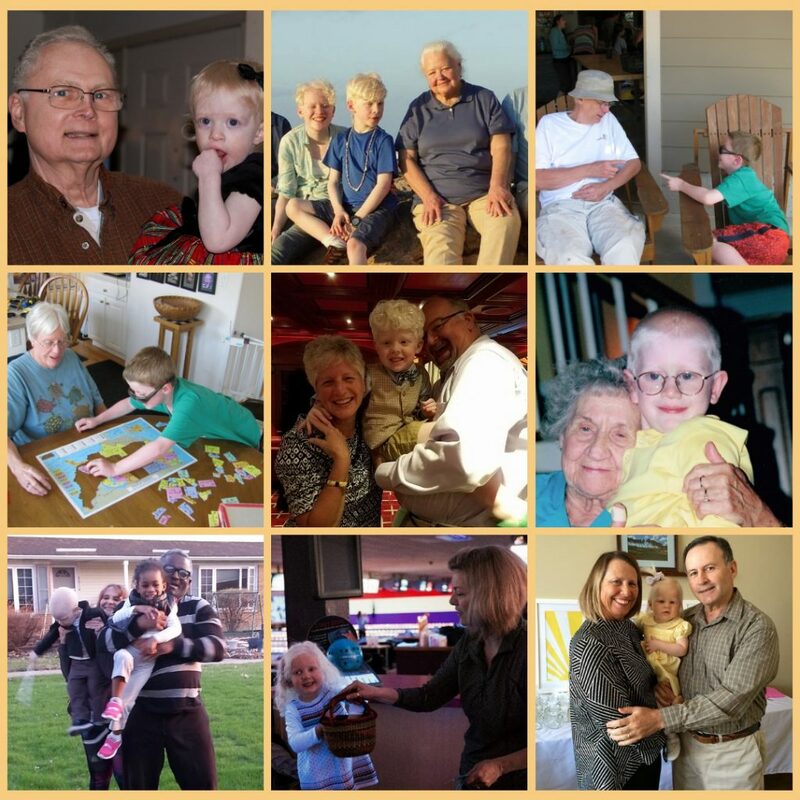 Welcome to the March edition of the Grandparent Connections Newsletter! During the last conference call in February, we had 11 wonderful grandparents connecting and learning about the social aspects of albinism. You can listen to the call using this link: https://drive.google.com/file/d/1LWGstLGHIn_gXOWxN89inD89dajsm4Xg/view?usp=sharing. Be sure to join the call next month to be part of the community. We are also building the Grandparent Connections Facebook group as a place to connect with other grandparents between calls. If you’re on Facebook, please consider joining this closed group by requesting membership at NOAH – Grandparent Connections. 1. Your grandchild with albinism may have difficulty reading social cues. When you are praising a young child make sure you are expressive in your voice and that you utilize a loving supportive touch when needed. He or she may not be able to see your smile and admiration from a distance and we want to share that with them. 2. It may be helpful when going in a busy public place to wear a bright color or something that stands out a bit from others so your grandchild can easily spot you. We are also excited about the upcoming schedule. Please note the day and times of the calls are different. Join us for a discussion on the common stages parents and grandparents may experience while adapting to albinism. We will explore some typical emotions and fears many parents and grandparents experience and strategies to help the family adjust and thrive. Grandparents with grandchildren of all ages will benefit from this call as the process of adapting is ongoing and the support we can offer one another is invaluable. Sheila Adamo, LCSW, CADC is a Licensed Clinical Social Worker with an additional certification in Alcohol and Drug Abuse Counseling. She is the co-owner of Building Parent Connections which provides education, guidance and support to parents of children with special needs. 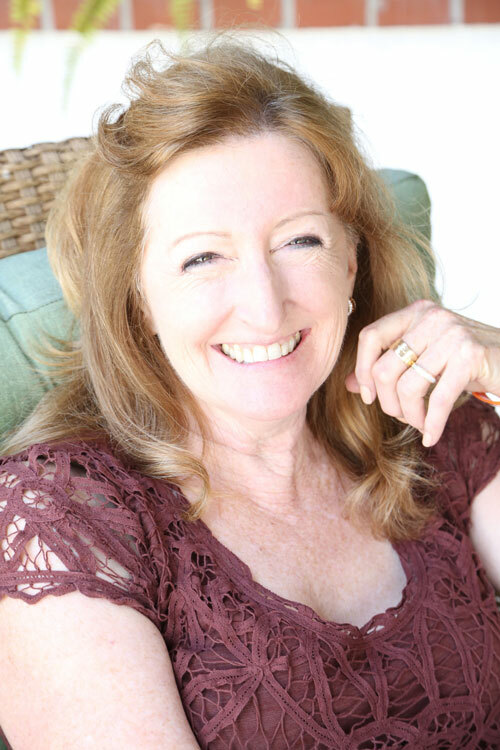 She specializes in creating workshops, discussion groups, teleconferences and conference presentations that address the unique needs of parents of special needs children. Within NOAH, she currently manages the New Parent Program, Grandparent Connections and Parent Connections, as well as the Mother’s workshop. Ms. Adamo served on the NOAH board of directors for eight years and as board chair for two years. 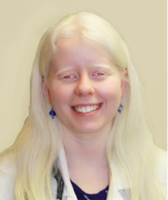 Ms. Adamo currently lives with her husband and their four children, one of which has albinism, in Naperville, Illinois. Join us for this call as Sue will give an overview of what to expect and what services your grandchild with albinism will receive throughout their development. 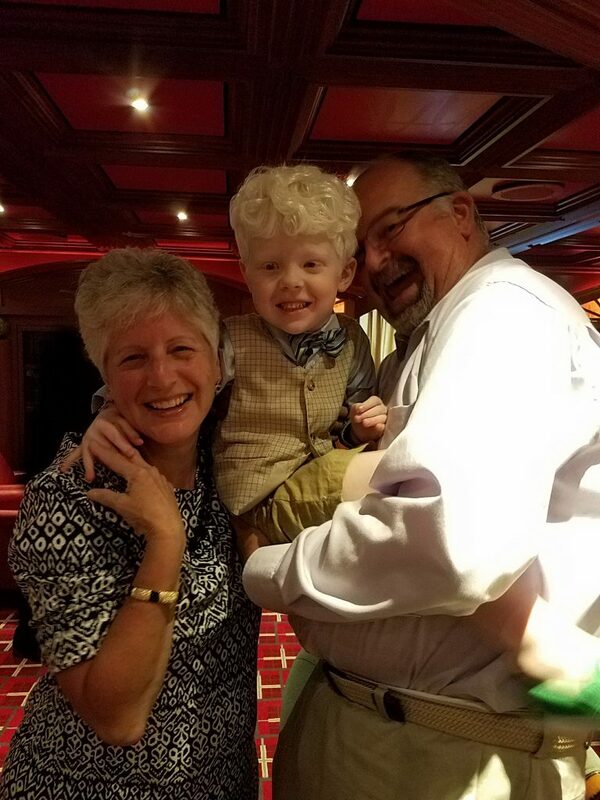 Sue will share her personal and professional experiences while providing valuable information on vision services, orientation and mobility, along with provide tips that grandparents can do to help with the major transitions in their grandchild’s life. Susan Dalton is a Certified Vision Rehabilitation Therapist, currently on the faculty of Northern Illinois University’s Department of Special and Early Education. She has worked as a developmental therapist, teacher of visually impaired and most recently directed a transition program for teens in Illinois for 17 years. The parent of three adult children, two who have albinism, Sue has walked the path of transition many times and appreciates the uniqueness of every child in this exciting and challenging experience. This call will host a panel of adults with albinism that will share their experiences along with their career choices. If you have questions for the panel, please send them to me so I can share them with the panel.